GUINNESS WORLD RECORDS Sessions with The Creation Station coming soon! Does your child have a creative spark for design? Or maybe they just love to get creative? We've teamed up with GUINNESS WORLD RECORDS to help inspire young minds to dream big and unlock their potential. The original idea for GUINNESS WORLD RECORDS came about in the early 1950’s when Sir Hugh Beaver, Managing Director of the Guinness Brewery, attended a shooting party in Ireland. He and his hosts argued about whether or not the golden plover was Europe's fastest game bird, and failed to find an answer in any reference book. Sir Hugh had the idea for a Guinness promotion based on the idea of settling pub arguments and invited twins Norris (1925—2004) and Ross McWhirter (1925—75) who were fact-finding researchers from Fleet Street to compile a book of facts and figures. 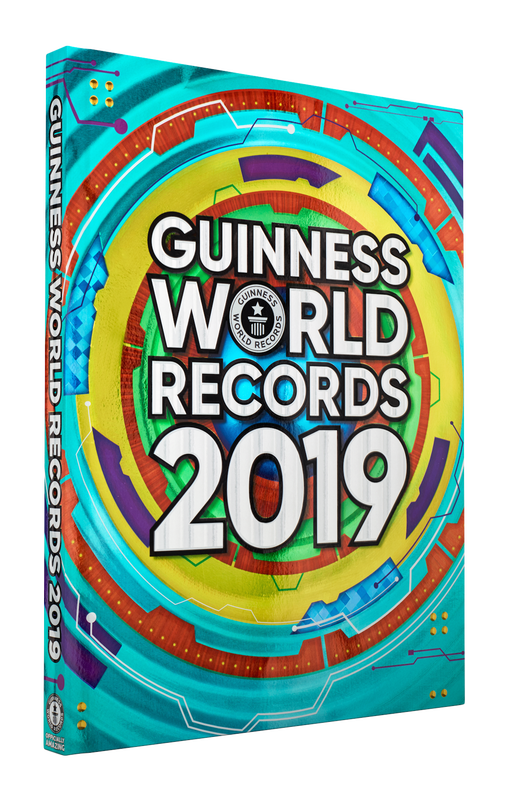 The GUINNESS WORLD RECORDS iconic book cover has been circulating ever since with new and bigger records blowing our minds every year. We are thrilled to have teamed up with GUINNESS WORLD RECORDS to provide you with local record-breaking fun activities to enjoy in your local Creation Station classes and to try at home too. 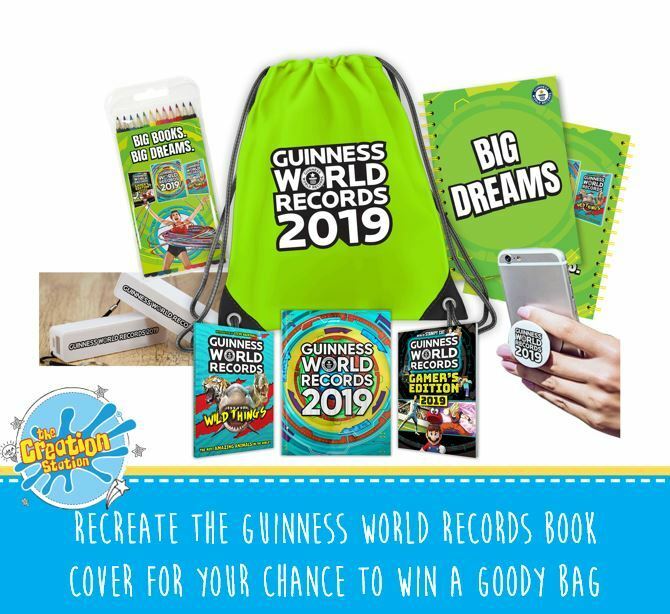 Be in with a chance to recreate your very own GUINNESS WORLD RECORDS cover AND a chance to win a limited edition merchandise bag from GUINNESS WORLD RECORDS & The Creation Station. Join the fun in your local Creation Station class between the 15th - 31st October 2018. See what's on in your local area and get involved. To find your nearest Creation Station click here and get involved! Recreate 'GUINNESS WORLD RECORDS Cover' for your chance to win one of four goody bags! 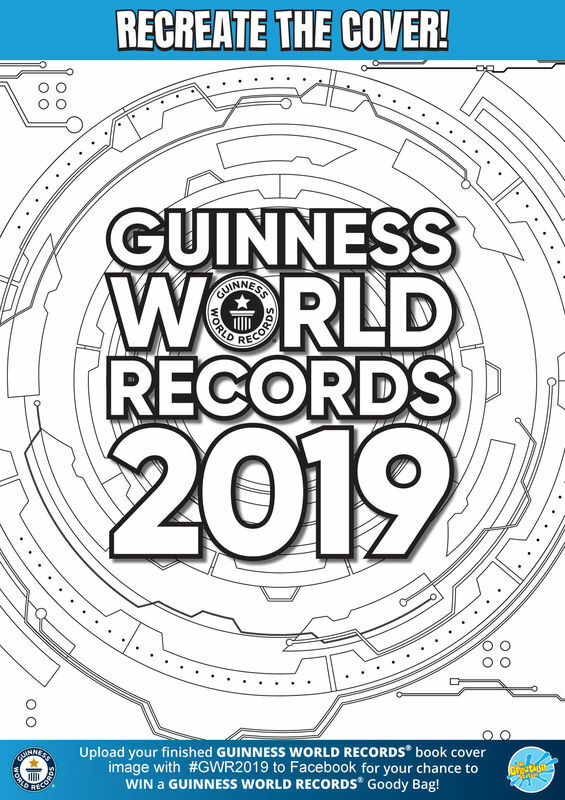 For your chance to win one of four GUINNESS WORLD RECORDS goody bags, be sure to upload a picture of your completed cover onto Facebook with #GWR2019. You can read our competition terms and conditions here. The competition will end on the 31st October 2018. Remember - when recreating your cover, you can use the template or recreate it in another way. You are only limited by your imagination. Go as wild and as creative as you can - the bigger, the better! If you can't make it to a session near you pop your details below and we will email you the template immediately. If you are looking for local award-winning fun classes, parties school workshops and after-school clubs or events visit; www.thecreationstation.co.uk and pop your postcode in to find out what's on in your area. If you don't have a Creation Station in your area, and you or someone you know would love to run their own flexible and rewarding creative business, click to find out more about running your own Creation Station franchise. Receive fortnightly free ideas, offers and news.